Running red lights cause more crashes in urban areas in the U.S. than anything else. 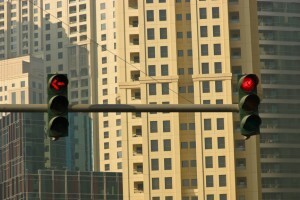 Based upon a nationwide average, a driver runs a red light every 20 minutes in urban areas of the U.S. Approximately 165,000 people are injured by red light runners including bicyclists, pedestrians and other drivers. Over 50 percent of fatalities are not the persons who run the light but, the passengers, other drivers, cyclists or persons traveling on foot. Over 9,000 people have died nationwide as a result of persons violating traffic signals at intersections. When surveyed, 93 percent of individuals admit that they know running a red light is wrong but 1 in 3 admit to doing it within the last 30 days!! On average, there are over 1,000 crashes and 7 fatalities every day in the U.S. as a result of people not stopping at intersections with red traffic signals. In my experience representing accident victims in and around the urban areas of California, including Los Angeles, I can, unfortunately, say that these statistics hold true in our urban areas. I have probably seen hundreds of cases of persons being injured or killed as a result of people not stopping for red lights. The problem is compounded by people also trying to “beat the light” as they approach an intersection with either a “stale” green light or a yellow caution signal. Because of these dynamics, these incidents usually occur at a high rate of speed and involve a broad-side collision with the vehicles entering the intersection on the green light. Oftentimes, this leads to serious and catastrophic injuries including head trauma, fractures, severe soft tissue injuries such as ruptured or herniated spinal discs resulting in nerve damage, and many other types of significant bodily harm. In addition, these collisions tend to cause severe emotional trauma again based upon the speed of the vehicles and the level of impact. Oftentimes, victims require ambulance transport and extensive trauma care. I say all of this to simply remind the drivers of California to slow down when approaching an intersection with a light that has been green for some time or a yellow light and to STOP ON RED! It could save a life! !